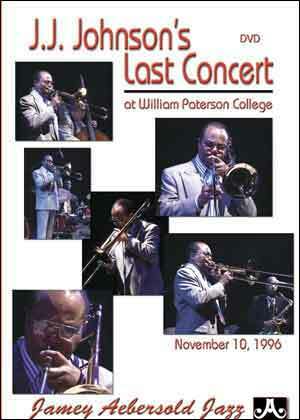 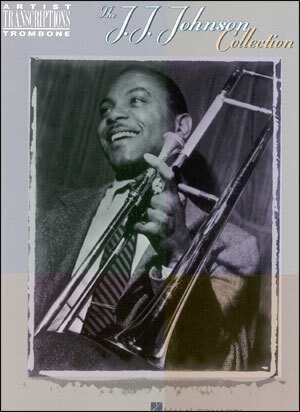 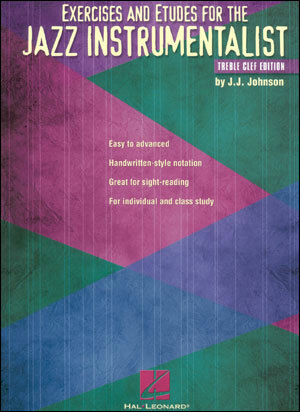 Exercises and Etudes for the Jazz Instrumentalist is a collection of original pieces in bass clef by master trombonist/composer J.J. Johnson. 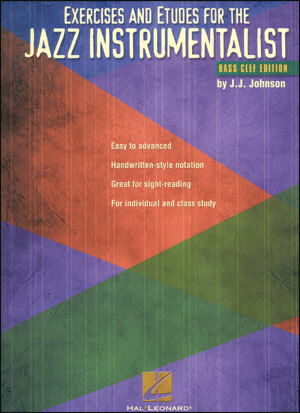 Designed as study material and playable by any instrument, these pieces (the harmonies of which are based on well-known standards) run the gamut of the jazz experience, featuring common and uncommon time signatures and keys, and styles from ballads to funk. 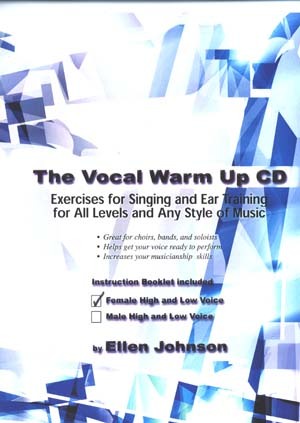 They are progressively graded so that both beginners and professionals will be challenged by the demands of this wonderful music. 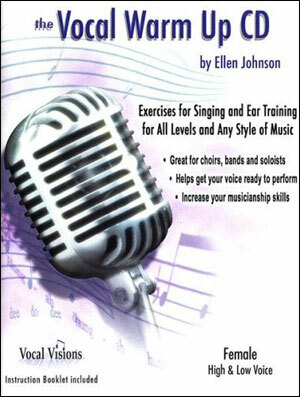 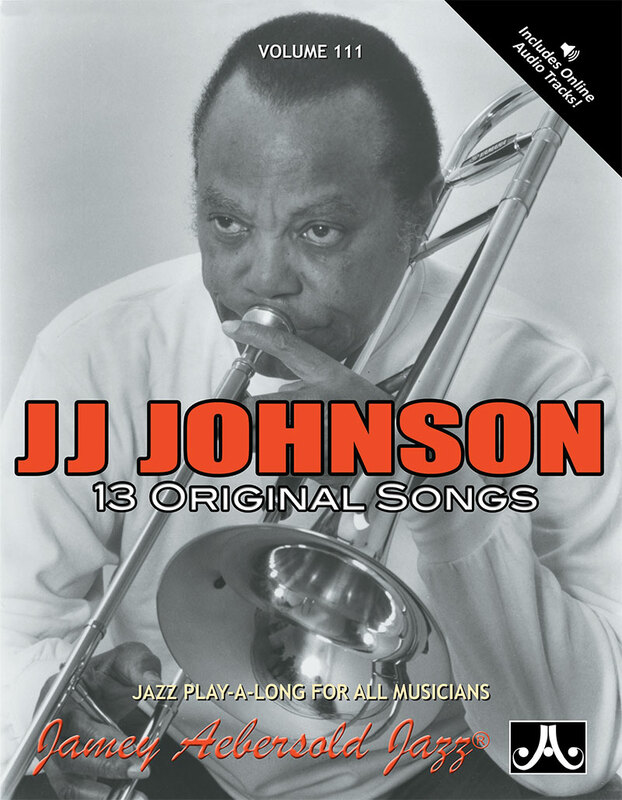 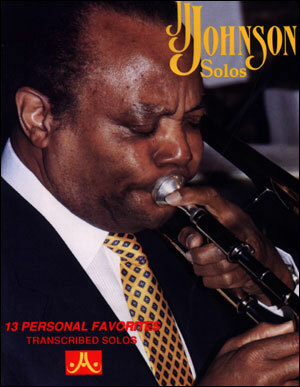 Published in both treble and bass clef editions (be sure to specify when ordering), this book also includes text to guide the player, as well as a biography of Johnson.